Why are affiliate marketing forums popular and powerful social media for the affiliate marketers? The Reasons are many and clearly associated with the business interest of product knowledge, networking, branding, getting expertise, strategically-acquiring, boosting own knowledge base, mentoring, building a relationship and above all increasing conversion rates. Affiliate forums are the area, whereas maximum conversations are being happened to ask and replying to the questions regarding affiliate marketing business. You might find your every solution there discussing your relevant issues. 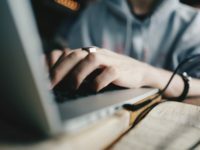 In this article, I’m going to reveal the best affiliate forums for your mindset so that you could feel prior to rush into this community as one of the top important campuses like about the best affiliate marketing blogs for your learning and earning through your effective engagement in the discussion and message boards. On the basis of Alexa rank, the top affiliate marketing forums are ordered, might change their rank according to the variation of audience engagement that effects upon Alexa. The PageRank of each site is also being mentioned might be not associated in the same order as like as Alexa. A powerful, useful and interactive forum for the affiliates about making money online and a marketplace as well. Serious affiliates and genius marketing experts used to engage there which cover the threads all sorts of effective web marketing, supporting programs and design, networking and sales of product and service. SitePoint is one of the most favorite affiliate marketing forums for affiliates and merchants which actively cover web marketing, affiliate marketing, various designs and programming. It’s a great solution area for the affiliates to harvest results through effective networking. A great active and crowded exposure area for the affiliates. It covers various threads on Search Engine, business and marketing, design, development and trade. You have further scope to take part in the buying and selling digital products on the Digital Point Marketplace. A highly responsive forum, who takes care of every participant regarding their any problem in the forum can raise their issues in the threads. In this active forum, major threads are covered by the area of web marketing, web development, web design and webmaster marketplace. Affilorama is one of the best affiliate forums you might take part in their free offers of training portals. Their support to the scratch or complete starters providing video and written lessons, tools and various tips to make you enable to be a successful earner. WickedFire is a little bit crazy webmasters’ affiliate marketing community to get you enable earning online money following their alternative methods in the affiliation. But, as a beginner, you might have to approach in this forum carefully understanding their rules of engagement and the culture they love. It covers the threads on SEO, Design, development and various affiliate marketing strategies. AffiliateFix supports you with the slogan” Connecting The Affiliate Industry Online”. They claim “AffiliateFix is The World’s Number One Affiliate Marketing Forum”. It’s true that they strive to connect with the whole affiliate industry in one place. They used to cover all affiliate issues, including special sections of threads “newbie affiliate marketing”. Really, you could find a rich UI and UX that might encourage you to engage repeatedly. WebProWorld covers a profound range of affiliate marketing areas including search engines, site design, webmaster, IT, security discussion and eCommerce so on. You might simply feel comfortable to hang out there because of it’s all sorts of needful threads. ABestWeb is really one of the top active members’ all-around best affiliate forums, covers maximum threads regarding affiliate marketing issues. They strongly weed out the spamming in terms of a fair environment. It is a good place that you might pick out your best results through your active engagement and creating an own network as well. DNForum is one of the best resourceful and rich affiliate forums that contain domain news, beginner guides, legal stuff, content development and language forums. In this forum, free contents are available, though you might have scope to use more rich stuff in the paid area like platinum and gold forums. It is one of the most active and professional forum for the advance affiliates. ‘5Star Affiliate Marketing Forum’ is a rich value professional, all-rounder and powerful forum that actively covers the affiliate marketing threads under affiliate forum, SEO, blogging and internet marketing forums, marketplaces including your 5star community. This affiliate community and discussion forum leverage all sorts of affiliates sharing their rich resources and supports in the forum that free-flowing around the web. How to be approached in the forums for effective engagement so that you could harvest your best of the benefits? Follow the forum’s guidelines you engage and never go against their rules and obligations. On the signature line, put your blog or site link with product and brand information so that interested people could contact you. It’s most beneficial part of the forum. In the affiliate marketing forums, every member is equal in terms of community behavior. Never push your ‘marketing’ in the discussion violating the forum culture. Try to form your integrated right approach to accelerate your forum achievement. The approach in the forums is not like the social media (such as Facebook or Twitter) or blogs. Then, Before stuffing your own issue you might check the threads whether another member already mentioned or not. Make your own brand awareness and authority conducting proactive engagement with the useful appearance of the fellows in the forum that your approach is valuable and significant and then harvest your best of the benefits. Eventually, in terms of overcoming any of the affiliate marketing challenges, forum engagement is your best solution. You’d like to hang out there means getting more enrichment and more benefits as well. Then, let’s grow with the affiliate marketing forums for sustainable affiliate marketing. Now it is your turn. Where do you prefer to go to your forum engagement? 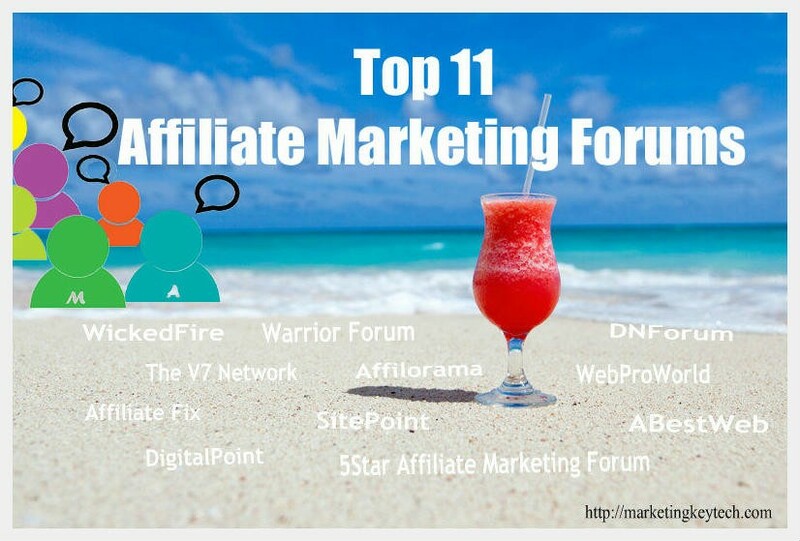 Do you think at this moment there are any one of your best affiliate forums already missed? Your worthy share could help us to enrich knowledge-base. For an aspiring marketer like me, what are the best ways to get started in affiliate marketing? Hi Gustavo, regret to reply you so later. IMO, you need to start a blog after selecting your product or niche you passionate to affiliate. Selecting right niche according to your passion is important to start your affiliate marketing. Then, start generating content which is a vehicle to reach out your product or service offer to the target audience. In this regard, try to learn how to use SEO in your content, how to use PPC advertising in Adsense or FB adverts, how to campaign effectively in the social media, and so on. In fact, affiliate marketing is a small business using blogging platform. If you’d like to be a quick affiliate marketer, you might follow a bonafide offer by Chan (http://marketingkeytech.com/bg). Hi Swapan, these are big help for me. Many thanks for sharing these! I?m specilize in Agency ads accounts for rent (both Google & Facebook). Nowadays, running ads on Google platforms is not very much different from Facebook platforms. With a network of advertisers all wanting to target customers through Facebook, competition is fiercer than ever before. Google is now the perfect solution with relatively low competition, price per conversion is lower than that of Facebook and the same efficiency. Besides, with customers running ads on Google channel, we can give you guidance as of how to cloak your ads to keep your accounts alive as long as possible and sell as much as possible.